Individual results can and will vary. It Works! cosmetic products are purely cosmetic in nature and do not claim to cure/treat/prevent any skin & hair related disorders. If you are allergic to any ingredients listed, or are under treatment or on medication for your skin, please consult with your physician prior to use. Start the day with nutrient-rich moisturizing for your skin. PreventAge helps to lessen the look of fine lines and wrinkles caused by sun exposure and environmental pollutants with its soothing blend of beautifying botanicals and vitamins. Don't wear your age on your face! 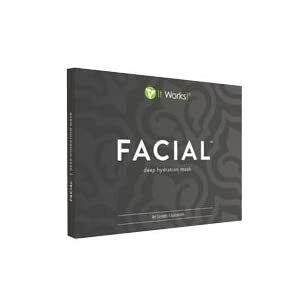 Tighten, tone, and firm to give your face a lift in as little as 45 minutes. This cream-infused, deep hydration mask soothes skin and softens the look of fine lines and wrinkles while continuously hydrating for a more beautiful you! Use the FREE Facial Applicator after Cleanser for the Ultimate Home Spa Experience! Wash the day away with the beautifying botanicals of this soap-free, clean-rinsing gel. Cleanser gently removes all oil, dirt, and makeup (even waterproof mascara!) without stripping your skin of its natural moisture. The clean-rinsing lather leaves your skin squeaky clean and silky smooth. Refresh, restore, and rebalance your skin to its natural pH level with this ultra-light, hydrating toner. 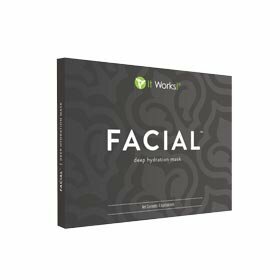 This alcohol-free, botanically-based formula soothes and softens without stripping skin of its essential moisture and helps minimize the appearance of your pores.